AquaCAVE is a system for enhancing the swimming experience. Although swimming is considered to be one of the best exercises to maintain our health, swimming in a pool is normally monotonous; thus, maintaining its motivation is sometimes difficult. 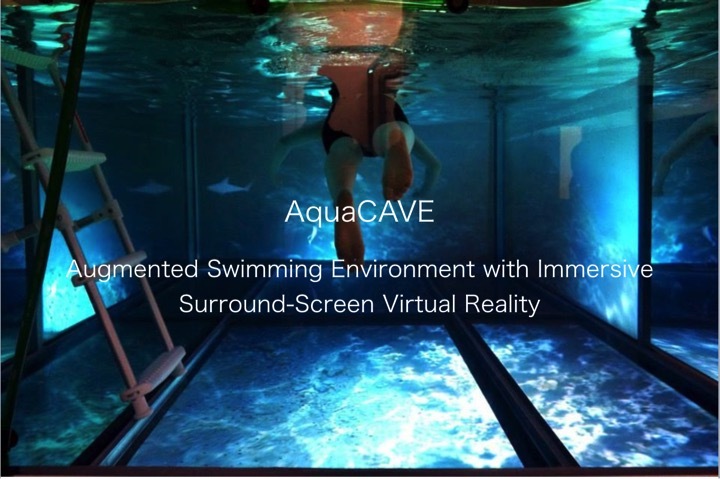 AquaCAVE is a computer-augmented swimming pool with rear-projection acrylic walls that surround a swimmer, providing a CAVE-like immersive stereoscopic projection environment. The swimmer wears goggles with liquid-crystal display (LCD) shutter glasses, and a pair of infrared cameras installed above the pool tracks the swimmer’s head position. 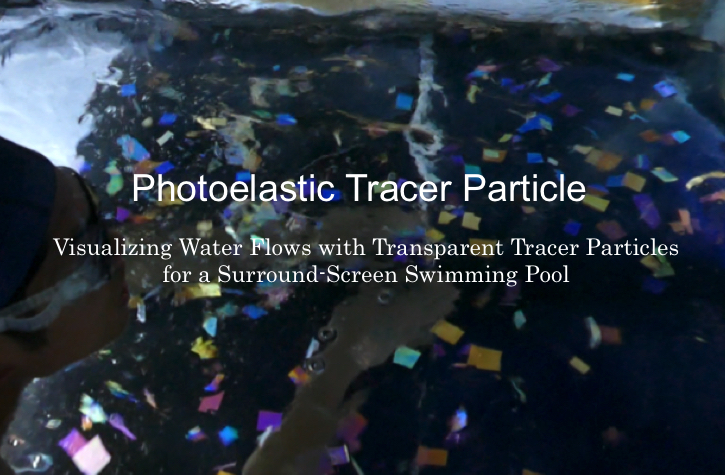 Swimmers can be immersed into synthetic scenes, such as coral reefs, outer space, or any other computer generated environments. The system can also provide swimming training with projections such as record lines or swimming forms. EyeSeWe propose, EyeSee a framework to help users understand what invisible phenomenon such as radiation and electricity are without the exclusive knowledge. 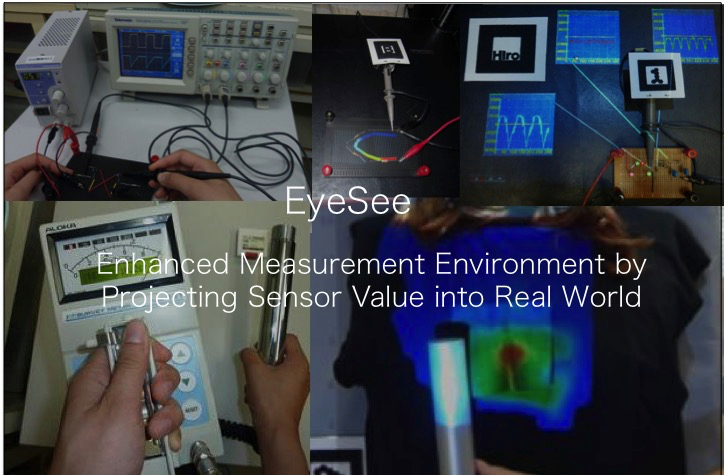 EyeSee achieves this by projecting the sensor values into the actual measurement points. This visualization on the real environment is quite useful to demonstrate how these work. For example, people know radiation is a phenomenon, which we need avoid to be exposed, but how it distributes is not well known in general. In addition to this, people tend to feel too much fear because it is invisible and unfamiliar. Visualization on real environment can remove this issue by making invisible phenomenon not special for people. 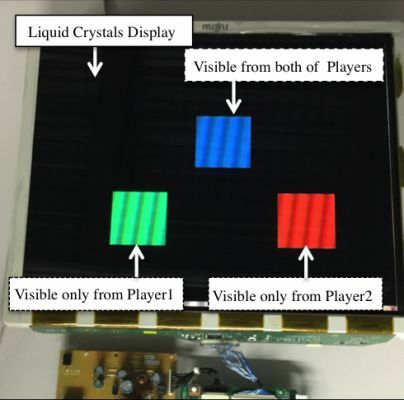 For instance, if you can directly see radiation on the real environment, they can put shielding materials near by the radioactive source and see how radiation can be shielded indeed just like shielding visible light from fluorescent lamp in the room. They can also know what exactly different from normal light in a practical manner. 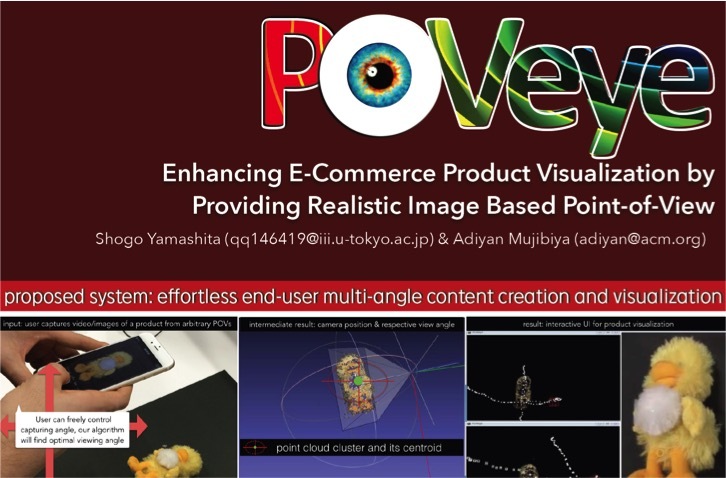 We present POVeye, a method to help users in capturing and creating visualization of products for extensive representation of the product’s material color and texture. POVeye achieve this by providing realistic images captured from various angles, which are positioned correctly based on the calculated geometrical centroid. 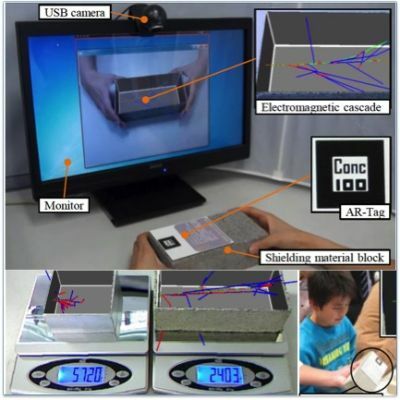 As input, users simply provide a video or multiple images of the product taken by any camera from arbitrary angles, without requiring any pre-calibration. POVeye provides an interface that shows object-centric camera positions alongside with image taken from respective camera angle. Users are able to either manually browse through automatically detected camera positions, or visualize the product by automatically detected view-angle path. POVeye leverages Structure-from-Motion (SfM) approach to obtain camera-object map. Our approach is unique from other solutions by preserving realistic imaging condition. 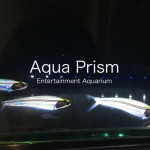 We observe that visualization of products from different angles that provide information of light reflection and refraction potentially helps users to identify materials, and further perceive quality of a product. We present Palette, a method to objectively quantize material color and airiness to provide representative description of a product in online shopping scenarios. 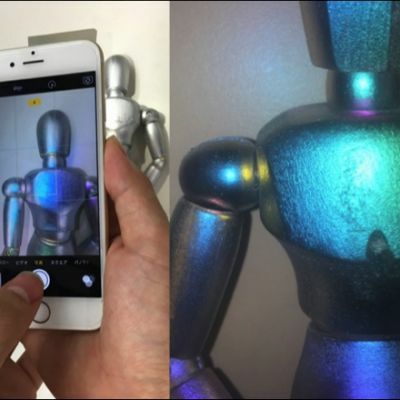 Photos and keywords are often used to describe color, texture, and airiness of products. However consumer photos are usually taken under uncontrolled realistic imaging conditions, whereas keywords are fuzzy and highly subjective. 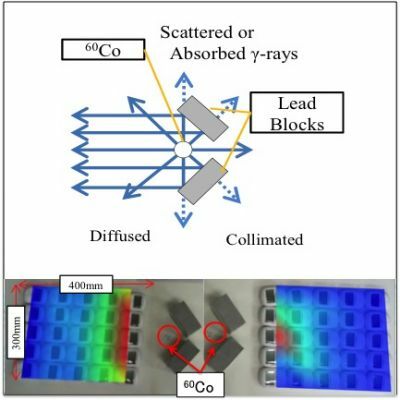 Palette leverages active spectrophotometry approach that involves synchronized illumination to measure the reflection and transmission properties of a material as a function of wavelength. 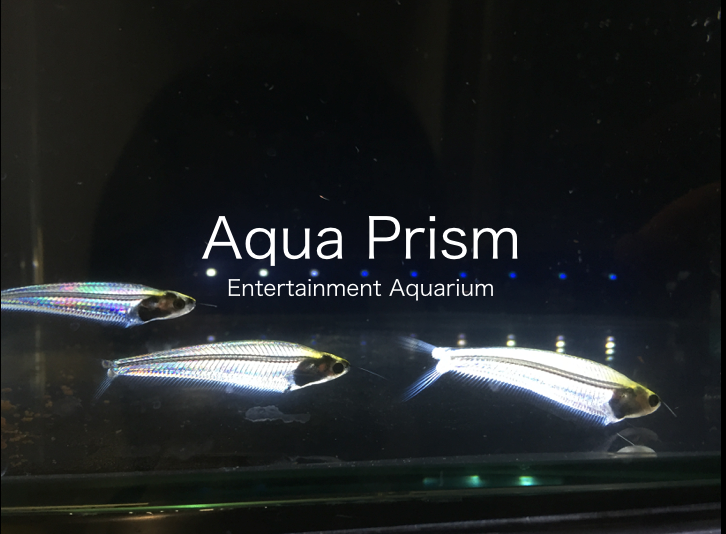 We use a Charge-Coupled Device (CCD) sensor equipped camera to capture visible light and near-infrared light intensity. 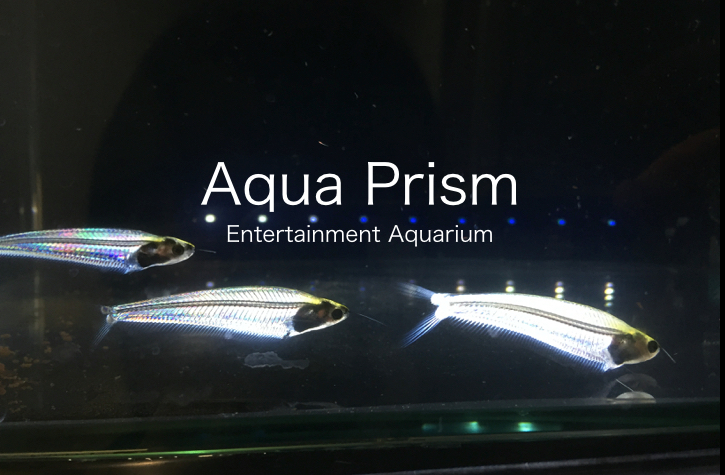 We show that by analyzing the obtained light spectrum, we are able to provide a metric to represent material color and airiness. In this paper, we describe the details in principle of operation and proof-of-concept prototype implementation, as well as reporting results of our analysis using 4 types of garments. 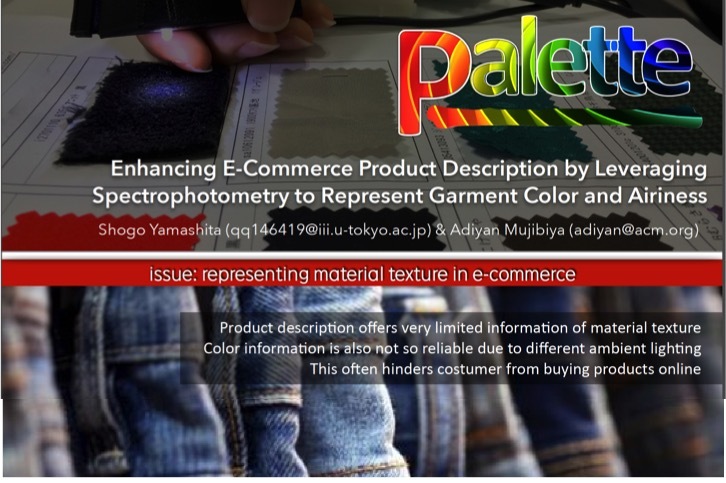 To the best of our knowledge, Palette is the first work to exploit spectrophotometry to represent garment color, texture, and airiness; as an effort to enrich user experience in online shopping.